At Cooksley Family Chiropractic, Lincoln Chiropractor Dr. Aaron Cooksley focuses on whole family wellness, caring for newborns, expecting moms, children, athletes and a wide variety of conditions. Regardless of who you are or what your health concern may be, we can help your body function at its highest possible levels. 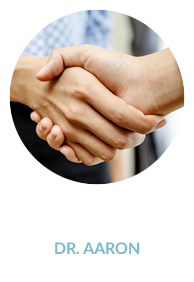 With tailored treatments and recommendations, we want to assist you in meeting your individual health goals. You’re always the boss, and we’re here to help in any way that we can. 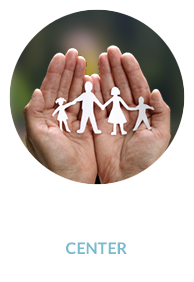 Our team’s mission is to help our community become healthier through chiropractic care. “Doctor” means teacher, and we take our role as educators seriously. We want you to understand what we’re doing and why, so you have the knowledge you need to make the best decisions for yourself. On any given day, Dr. Aaron might see a newborn just days old, as well as a 98-year-old who wants to remain active. 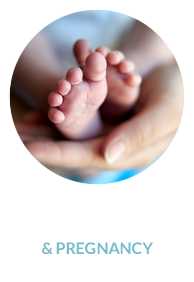 We enjoy seeing babies and children because we can help them prevent and avoid more serious issues in the future by starting care at a young age. Everyone can benefit from chiropractic care! Dr. Aaron utilizes the Gonstead Technique, which is a precise, hands-on method focusing on neurostructural correction. 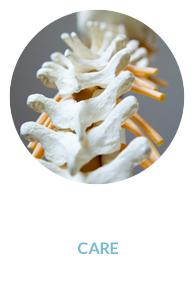 We take a look at your spine and make sure it has proper alignment so that your nervous system can do what it was designed to — facilitate communication between the brain and body allowing the body to adapt to stress and the environment it encounters. X-rays present Dr. Aaron with a complete picture of your health, and act as a blueprint to show us exactly where the problem is and what we can do about it. A NervoScope® is used at each visit, picking up areas of inflammation along the spine so that we objectively understand what you require. We take the guessing out of health care and make sure your progress is measured along the way. Contact our Chiropractor Lincoln today to schedule a free consultation and find out what we can do for you! I feel so much better and in a shorter time period than I had expected. I should have done this years ago. I would highly recommend Dr. Aaron’s chiropractic care!! Dr. Aaron has not only helped me but has done wonders for my husband! I strongly encourage anyone who is thinking of chiropractic care to give him a try! You will be amazed at the results. Dr. Aaron is the best – he really knows his stuff and works hard to keep you well! Amazing!!!! – Yep, that’s how I’m feeling. This is my first experience with chiropractic care. I appreciate that my treatment plan is in alignment with my personal desired outcomes, not someone else’s expectations for me. Dr. Aaron’s personal knowledge and experiences in other health and wellness related areas makes him very well versed, and a deep source of knowledge. This is what drew me to his practice (along with the coaxing of a much younger and apparently wiser friend), and he has not disappointed. I look forward to this continued partnership with Dr. Aaron, as I journey through the various stages of life.